I read quite a few books in 2015. 62 to be precise. Fiction, non-fiction, biographies, autobiographies, books about the music industry and musical artists, series such as the Chronicles of Narnia, detective novels, best sellers and simply books written over the years that were recommended to me. 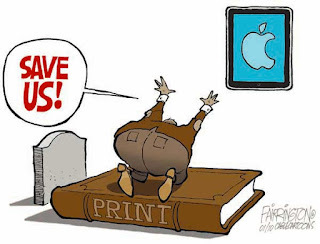 Some were e-books on either iBooks or Kindle and some were hardcover editions. I'm not picky when it comes to format. A riveting and suspenseful thriller from a Canadian author. One of the best musical autobiographies I've ever read from the former drummer for Yes and King Crimson. A great detective story and I'm a sucker for a great detective story. You may have seen the movie, or heard about it at least, with Matt Damon. I haven't. But the book is excellent. May well be the best thing I read all year..
Another detective story, 16th in the Harry Hole series, of which I've read them all up until this edition. A loving memory of local Ottawa Canada coffee house Le Hibou where hundreds of rock and folk acts performed in the 60s and 70s. I'm into that kind of thing. Lagercrantz undertook this project with the approval of the Larsson family and he remains true to the tone and quality of story telling, not to mention suspense, set by Larsson. Rankin remains one of my favourite authors. This volume focussing on one of his favourite characters, the now retired Inspector Rebus, does not disappoint. The year wasn't without its duds. And a book has to be pretty bad for me to give up on it. My philosophy is if you've invested 50-100 pages in a book you may as well finish it. Well I finished one and gave up on two. I suppose out of 62 books that's not bad. I could not get through this. The New York Times said this book was at times tedious. Indeed. It was far too long and for me the end was never in sight. So I gave up. For me the infinite jest was played on the reader. The Prince actually looked after the finances of the Rolling Stones starting in the late 60s and unfortunately this book pays little heed to the music or the musicians. The New York Times said of this lengthy, sprawling book: "Gravity's Rainbow is bonecrushingly dense, compulsively elaborate, silly, obscene, funny, tragic, pastoral, historical, philosophical, poetic, grindingly dull, inspired, horrific, cold, bloated, beached and blasted". Enough said. I didn't provide the links here but if you go to the "Books" button at the top of the screen you can get to the listing of all the books I read in 2015 with links to reviews. So those are the highs and lows respecting the books I read this year. What about you? Did you have some great reads this year? Did you have some duds? For 2015 I had set myself a total of 75 books that I thought I could read. I only got through 62. So I've cut back my goal for 2016 to 50 books. I should be able to achieve that. We'll see as DVDs and On Demand videos compete for my attention. Happy reading!